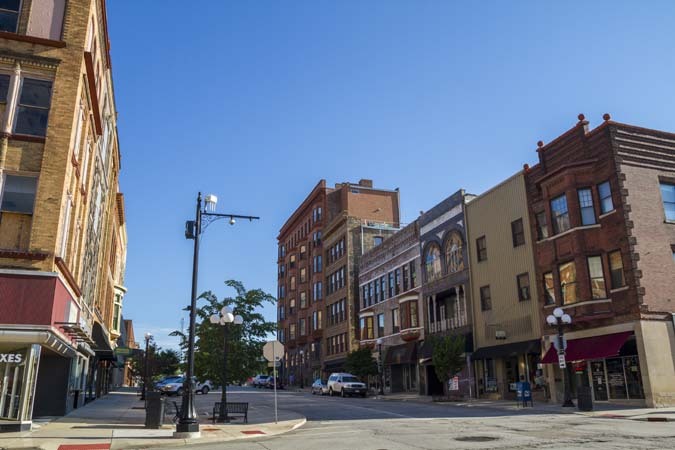 Spending a personal day in Downtown Bloomington can be beneficial to your health! A stroll though the square, with its blend of historic architecture and contemporary energy, invites you to consider the past, present and future as you customize a day that is all about you. A short walk in any direction will lead guests to points of discovery. With more than 36 specialty retailers to choose from, a handy Downtown Bloomington Association walking map can help you successfully find what you are looking for, whether that is an imported bottle of wine, a one-of-a-kind work of art, a rare book, a priceless antique, or the best cup of coffee you've ever had. In addition to shopping, a day downtown should also include some pampering at one of our salons and spas, lunch or dinner at one of our 17 eateries, a show, exhibit or sporting event at one of our entertainment venues, and end with a nightcap at one of our 14 night spots. Downtown Bloomington is also home to the nationally recognized Farmers' Market which brings fresh meats and produce to the community from mid May until the end of October, and to a variety of exciting events which occur on the First Friday evening of every month. Those events include winter's Tour de Chocolat and chocolate challenge, spring's Tour de Metro, fall's Around the Corner Art Walk and the Once Upon a Holiday Celebration.